4) This aromatic mulled red wine comes in a case of 6…cheers! 5) Who doesn’t love a hot water bottle in winter? 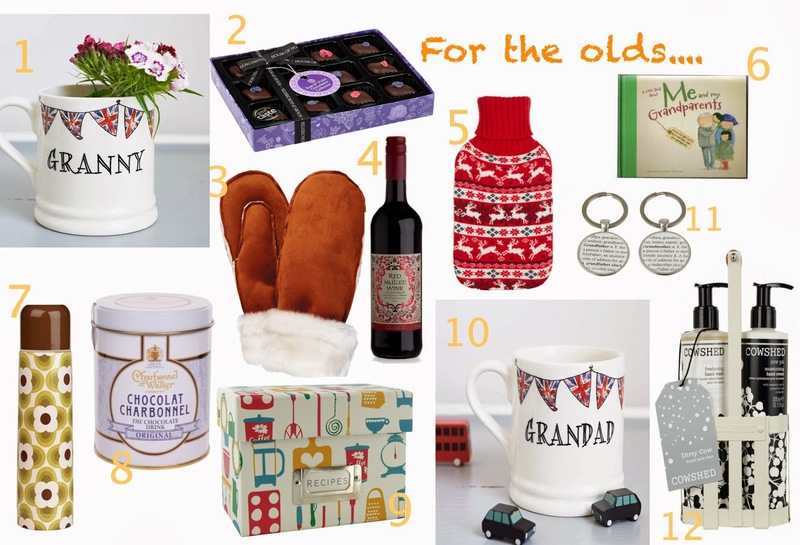 7) For the allotment, day trips or coach journeys – a stylish flask for stylish olds! 9) Maybe Granny will finally hand down her secret recipes if you give her this box file? 11) Give them a set of key rings to share – and hopefully not lose! 12) Some refreshing soap and lotion in a metal caddy – great for gardeners hands!